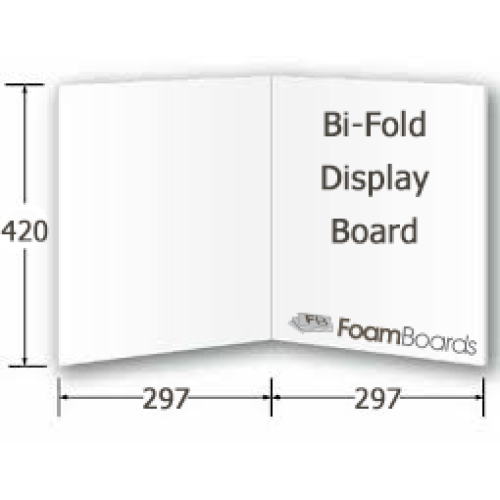 A Bi-fold Display Board with two A3 panels that fold in to enable free standing. 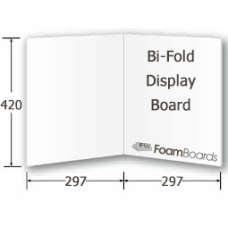 This table top display board has a wide range of uses including trade show applications and corporate displays. Sizes can be customised to fit requirements and logos or other graphics can be printed on header cards or directly on the display board.